Master Wang Liping taught us the four essential routines to incorporate in our daily schedule at the 10 days NEI DAN (Inner Alchemy) Seminar in Vatra Dornei (September 3 to 12, 2011). 1. Sweat (a little) – exercise, even moderate, makes the body function better, accelerating metabolism and thus eliminating toxins. A sedentary life without any exercise, without at least a 30 minutes’ walk in the park creates premises for all kinds of energetic or physical obstructions and disease. 2. Let your heart beat (a bit) stronger – In addition to toxins elimination and muscles, fascia, bones, joints and tendons training, performing some moderate daily exercise you actually move an essential muscle: your myocardium. Moreover, arteries and veins are also an important part of this everyday „maintenance”. Meanwhile, lungs and breathing receive also their „fitness” doze. All this removes negative energy and increases natural positive energy in the body, heart, mind and spirit. Additionally, the brain oxygenates, which automatically leads to a more alert and clear mind. 3. Sit and think (for a while) about yourself – The aforementioned premise (clear mind) leads to the number three indispensable action – the simple act of introspection. When we keep your eyes and ears open to the outside we only perceive a certain part of the reality. The moment we close your eyes and turn our hearing „inside”, the reality of perception becomes complete once again. During those minutes (or even tens of minutes for dedicated practitioners) we discover the external reality „fulfilled” by the reality of our inner universe: „complete reality” (hence the name of traditional Daoist School in Northern China). 4. Do something positive for (at least) one person – Taking care of yourself, your body, soul, mind and spirit are necessary acts (and demonstrates respect for what you receive here – their absence shows lack of appreciation), but they are only self-centered actions. The fact that you really want to have a harmonious and beautiful body brings a quite little positive effect on the people around you. Witt and spirit clarity might actually, have not such a good effect on those around you. In this case we should put into practice the number four condition: do something positive for the others without any expectation of reciprocity. These are the four actions or acts exposed by Master Wang Liping as I briefly and subjectively understood them (scarcely, perhaps) which should not miss in any of our life daily basis. 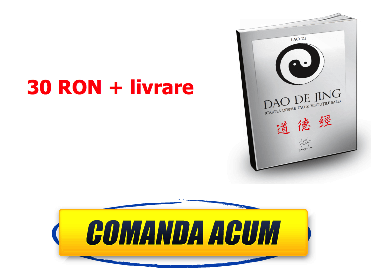 All the 4 things are included in the Daoism.RO Seminars – Daoist Internal Alchemy for Beginners (NEI DAN – 内丹) or Intermediate Students. In fact, we will have already accomplished the first two of them, every day, until 7 a.m., if you get there. I would appreciate if you receive this information with the same openness and joy which I also received it with, that’s why I expect your thoughts and opinions below.